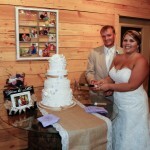 Athens, Georgia is the perfect town to take your wedding engagement photos. Each corner of the Classic City has its own quirks and personality, enabling a fun and diverse photo-excursion to be right at your fingertips. Follow this map of the Athens area to discover your ideal Athens engagement photo spot. 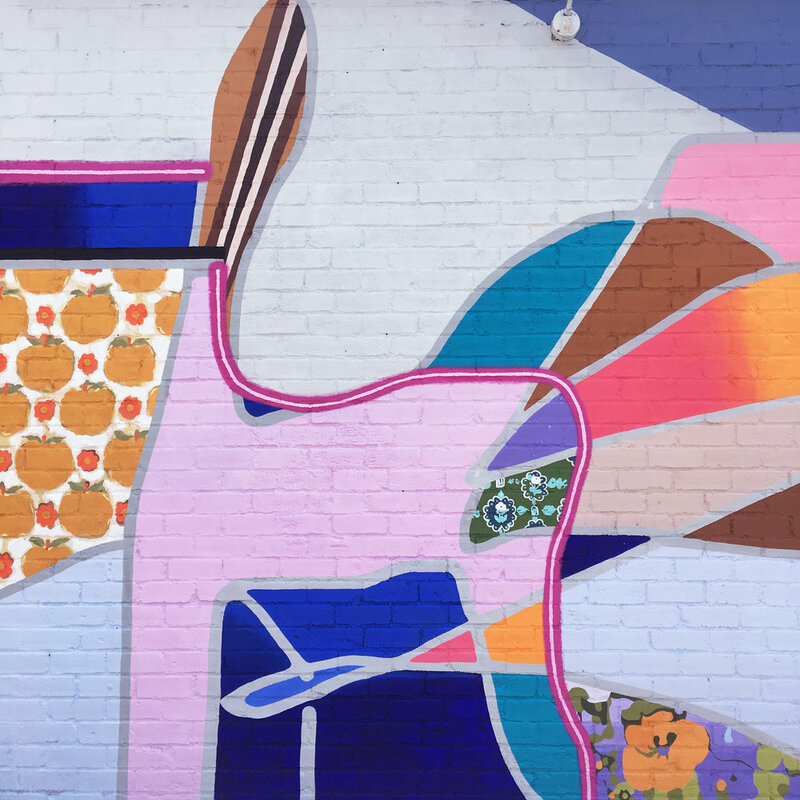 Commissioned by LRG Provisions in 2018, artist Vivian Liddell created this mural on the exterior of this Five Points centralized restaurant. 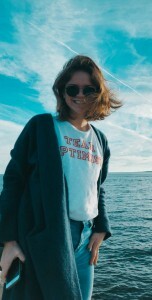 The undulating lines and dazzling hues add a cheeriness to the Five Points neighborhood and would create an incredibly fun background for any photo shoot. The State Botanical Garden of Georgia is the perfect herbaceous escape to take a variety of engagement photos. 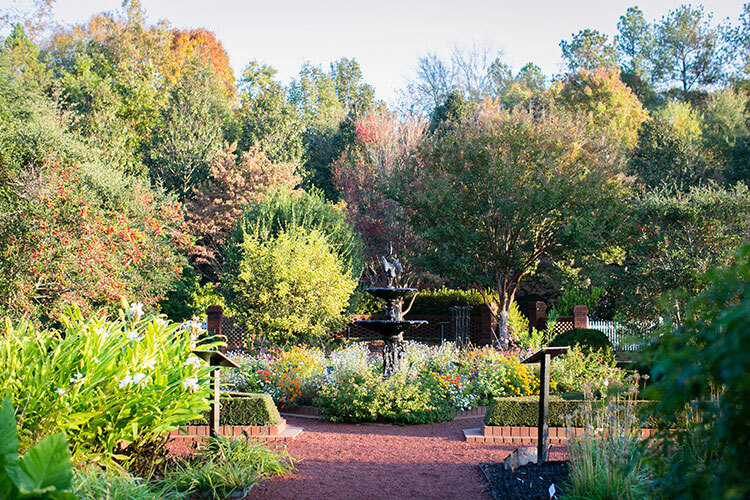 The Heritage Garden, part of the Botanical Gardens, is styled to emulate an Italian Renaissance garden, a popular European garden style. The carefully selected plants are positioned to highlight the fountain in the center of the garden, which is topped by a bittern – a species of heron. The Flower Garden includes annual and seasonal blooms and even expands to the wildflower meadows, which offers a pocket of prairie, overgrown life. 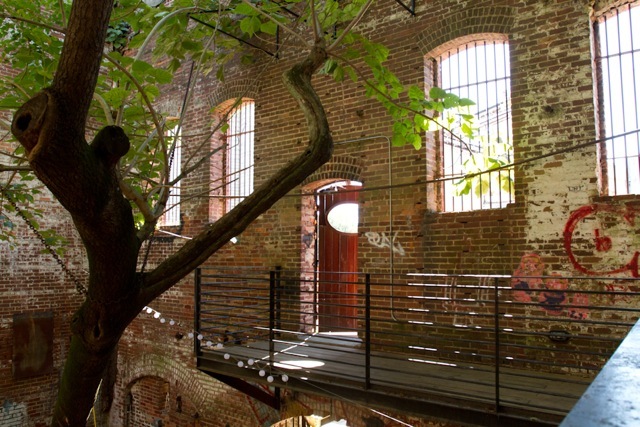 A dilapidated warehouse now sheltered by the expansive branches of the towering mulberry tree growing from the center of the structure, The Tree Room is the perfect place to take an unexpected and raw series of engagement photos. The cohabitation of this repurposed industrial space intertwining with the graceful presence of subtle natural beauty makes this space one for an unique engagement photoshoot like no other in Athens. 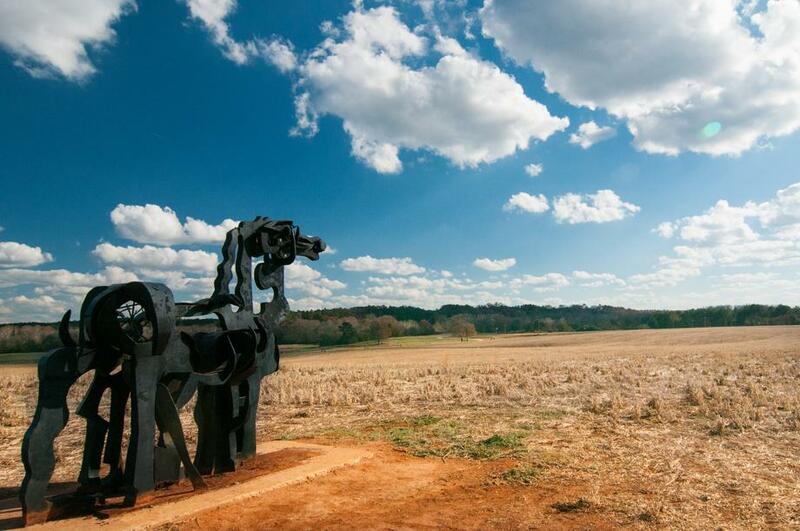 Located just outside of Athens on a rural stretch between Ga. 15 between Watkinsville and Greensboro, the Iron Horse sculpture is common folklore of those living in the Athens area. This 12-foot-tall, two-ton abstract structure was sculpted by Abbott Pattison in 1954, originally placed in front of Reed Hall on The University of Georgia’s campus. The sculpture now stands today on Iron Horse Plant Sciences Farm, a university agricultural research farm 20 miles from downtown Athens. The sculpture is admired for its location on expansive land with open sky, making it the perfect destination to watch the sunrise, sunset, or stargaze. Venture to the Iron Horse for golden hour in order to catch the last few rays of magical light and glimpse the beginning of an awe-inspiring sunset for an adventurous outdoor engagement shoot.